We know that the latest earnings call from RIM wasn't the best news. Both Kevin and Chris have already given their thoughts and opinions so I'm not going to bore you with more of the same. Clearly I wasn't pleased with the announced delay of BlackBerry 10 but who would be. However, one thing crossed my mind last night and that is the developers who would be affected by the setback. We have seen from the BlackBerry 10 Jam World Tour that devs are extremely keen to work with the forthcoming platform. Not just current BlackBerry developers, but also ones that currently work on other operating systems. Many of these have been working towards getting a BB10 application ready for Q4 this year. Now that the OS will not be available until Q1 2013 this means those devs will not be able to make the money they expected quite so soon. So I thought I had better have a word with a developer about this and get his views on the matter. And who better than Jerome Carty from Kisai Labs, who developed the amazing Twitter app Blaq for the BlackBerry PlayBook. CB: The RIM Q1 2012 earnings call may have been along the lines of what we thought was going to happen but I for one wasn't expecting to hear the news that BlackBerry 10 was going to be delayed. Were you? JC: I did not expect a delay in the launch of BlackBerry 10 devices and I was a little shocked when I read about. CB: Being a successful developer already how do you feel about the setback? not to push it out this time around. CB: The BB10 Jam World Tour has been a great success. 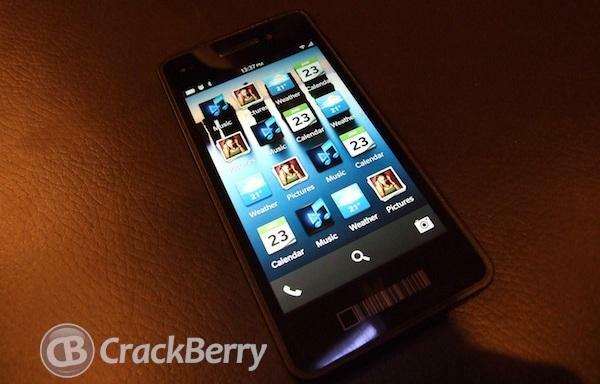 Do you think the news will discourage developers from committing to the BlackBerry 10 platform? JC: The BB10 Jam World Tour has been a great driver of interest in the platform. With the delay, RIM has more work to do to continue to encourage developers to build for the new platform. The best thing they can do right now is give developers updated tools sooner. spirit will overcome the BB10 delay? JC: It will affect the business in the short-term. However, no one knows what the long-term implications are. I'm hoping for the best. RIM is on the right path but they need to put a turbo on the vehicle that's getting them there and they'll be fine. Also, I wish the best to those who were unfortunately let go. So there you have it, not all doom and gloom. Yes, we want BlackBerry 10 ASAP and RIM need to get their act together but if the developers still have some faith I believe that is half the battle.